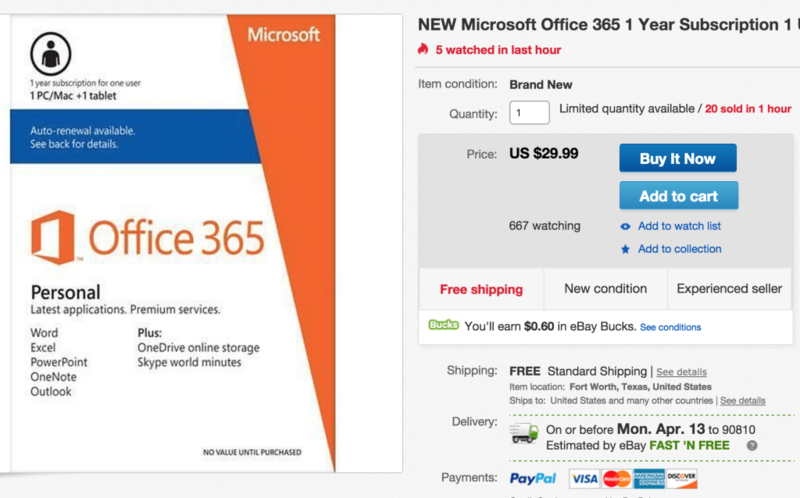 Microsoft Office 365 Personal, the yearly subscription for Office services, which includes Word, Excel, Power Point, and OneNote is now on sale for $29.99, regularly priced at $69! With Microsoft Office 365 Personal, you gain access to all of the Office services for 1PC (or Mac) + 1 Windows tablet. I use Office 365 Personal. There are other services out there, but this one works great and syncs perfectly with OneDrive! Head to e-techgalaxy via eBay now to get it!